We deliver bulk Certified Compost none animal manures. 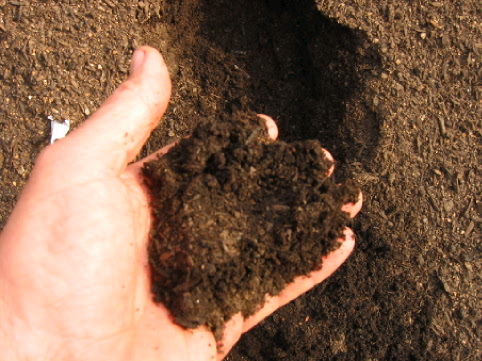 Compost with composted manures, 50/50 landscape soil, veggie soil and flower bed soil, screened and unscreened mix fill, Screened Topsoil and Soil - conditioner in the North Raleigh and Wake Forest areas, and through out most of Research Triangle areas. Minimums and delivery fee's may apply. We use only the highest quality of products, Garden soils 50/50 our mixes, may contain pine bark fines, composted cow, hog, horse, composted food waste, or composted poultry, rounded sand, forest humus, peat moss. None of our products contain any human Bio-solids. 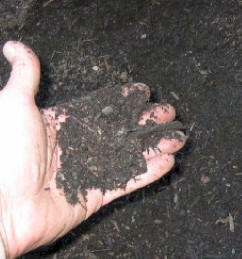 50/50 Garden Soil: Rock and 99% weed free. Excellent for flower beds, and vegetables gardens. May contains native soils, aged bark fines, compost,brush and composted manures. composted vegetable scraps. Call us for small 2-yards and up deliveries are available. Pro-Topsoil ; A manufacture soil formulated for growing grass, contains composted manures, composted food grade residuals, sand and sub - soils. 2 yards and up deliveries available. Screened Fill dirt : a mix of soils clay and some topsoil's, used for filling in around side walks and low areas, will pack better than just topsoil. But is not all clay and will not pack enough for building up drive ways. 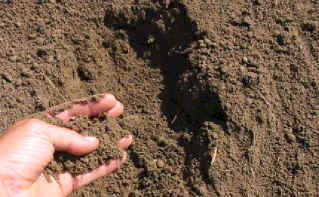 This just is a good soil for use with wheel borrow. 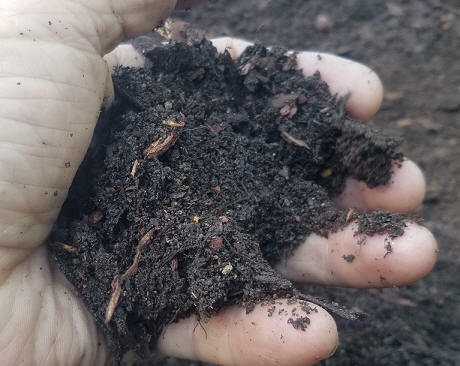 Compost: ↑Made from composted food grade residuals and brush, composted manures and is 99% weed free, High in Calcium, Excellent choice for tilling in and growing grass, a big plus here in Wake County. (no manures ) will not burn, great for vegetables gardens or flower beds. Premium Soil - Conditioner: Aged bark fines 1/4 inch or less. Excellent Choice for tilling in to sandy or clay soils or use as fine mulch. Unscreened Mixed fill: dirt is not recommended ( with out ) equipment as rocks and clogs that can weigh as much as 45 pounds. Contains no roots or logs. 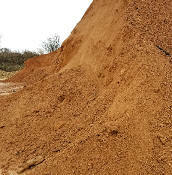 ↑ Unscreened Fill Dirt Red Clay: compactable soil, used for building up driveways or other areas. Does contain small roots and rocks. Use our Product Calculator to find out how much you need.